I’ve walked into Walgreens three times over the last ten days to pick out a Mother’s Day card for my mom, my mother-in-law, my sister-in-law, and my multitude of friends who are celebrating their first Mother’s Day this year. And each time, I’ve walked out empty handed. Maybe it’s the overwhelming sea of red and pink envelopes, or the overcrowding of the other shoppers also seeking the perfect card reaching over and around each other to grab the next card (manners seem to go out the window when looking for a Mother’s Day card). Whatever it is, they haven’t been right. Don’t get me wrong, I’ve read plenty of cards. I’ve read overly sappy cards. Poignant cards. Simple cards. Cards with so much text that I get bored half way through. Funny cards. Cards attempting to be funny. Blank cards (okay, I didn’t “read” those, smarty pants). And just for good measure, cards written in other languages. But still, none have been right. Mother’s Day has become an overly commercialized attempt to show appreciation on a singular day to individuals who deserve appreciation daily. Don’t get me wrong, I love getting to sleep in and brunch is my favorite meal, but why do we need a single day to buy cards for $3.99 with messages we can (and should) be saying more frequently than once a year. No card fits the bill because motherhood is all those things rolled into one: sappy, poignant, simple, exhausting, funny, almost funny, wordless, and indecipherable. As I’ve thought more about this, I’ve realized that mother’s day is an opportunity to celebrate the wonderful attributes that make up moms and motherhood overall. It’s an opportunity to reflect on where we’ve been and where we’re going. Who we are and who we want to be. Who teaches us and who inspires us. 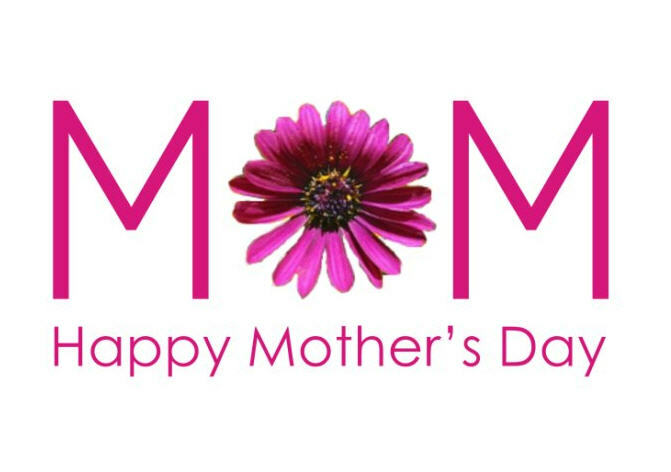 My best teachers and greatest inspirations for being a mom are the moms around me – moms at the park and at the farmer’s market, my mama friends who comprise my “village,” my aunts, my sister-in-law, and my mother-in-law. We all have so much to teach, and all have plenty of room to learn. We are stronger together than alone, and on this day of “motherly celebration,” I hope that we can all celebrate the ties that bind us. I am a wife, Mom and Nana as well as an artist and life long learner. I love to travel, and have visited at least 22 countries. Reading is something that I truly enjoy, and since I have retired I have reacquainted myself with my sewing machine. I am physically active, I either swim, do yoga or Pilates daily. Since we sold our home and moved into a condo, I walk everywhere and love exploring an area I have lived in for 40 years. 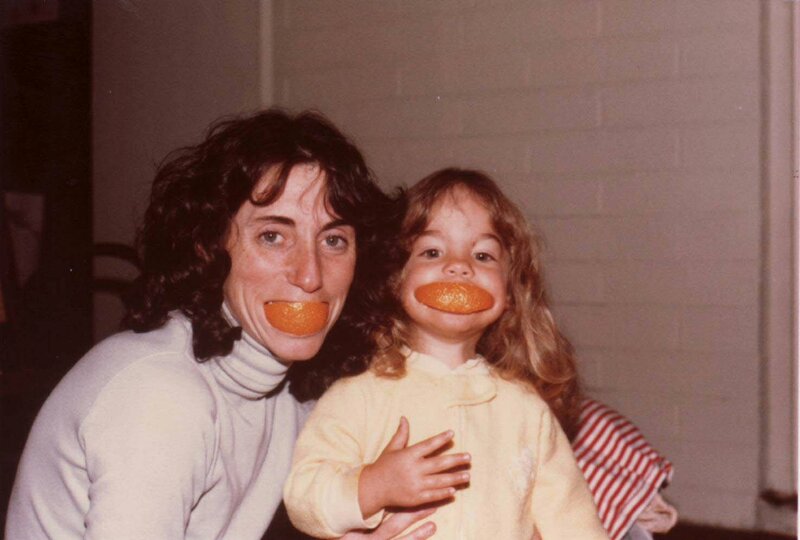 As a young Mom, it was hard to find the “me” in Mommy. Many of my friends at the time were either single, or coupled without children. Finding the balance was hard. Having a loving husband/partner certainly made a huge difference. Over time I learned that I needed physical exercise to get the “me” time. I became a runner, and after seeing A Chorus Line I even took ballet. Ok, running was the better choice, and I stayed with it. Lately I realized that I am “channeling” my own Mom. It has been said, my mother- myself; so Mom’s of daughters – think as or before you do. Children grow up so fast, enjoy it- finding the time for you may not come until much later. Grab what little time you can, but still make sure that you chase the rainbows or get those tickets for your child’s special events. Learn to chill, and remember it is a journey, the destination comes later in life when there is truly time for you and those amazing grandchildren who make it all worthwhile. To all you mamas out there, Happy Mother’s Day. Here’s to finding a little “me” in mommy today, and every day. PS: Mom, if you don’t like this post, sorry! I’ll send you a card next year.